Background & Challenge: ShopBot Tools has developed the Handibot® Smart Power Tool, a uniquely portable version of a manufacturing tool called a CNC tool. Its small size combined with its potential to be run by apps signals a whole new category of power tool. The challenge was to test market interest, generate buzz among early-adopters, and raise funds for app and web development. Strategy: Reach early-adopters where they spend time every day: Kickstarter. Working with the web designers at Designing Solutions, I developed the pitch copy and video, wrote headlines for T-shirts and other swag, and managed email communications and updates to backers. I continue to blog about Handibot's user community. Result: The Kickstarter reached its fundraising goal of $125,000 in the first two days. By the time the 30-day campaign closed, it had raised almost $350,000. This has helped fund initial development of apps and an e-commerce site that allows early adopters and software developers access to the tool so that they can contribute to its development. Click here to see the Handibot Kickstarter page. Some key visuals from the campaign and e-commerce site below. To see the e-commerce site, visit Handibot.com. 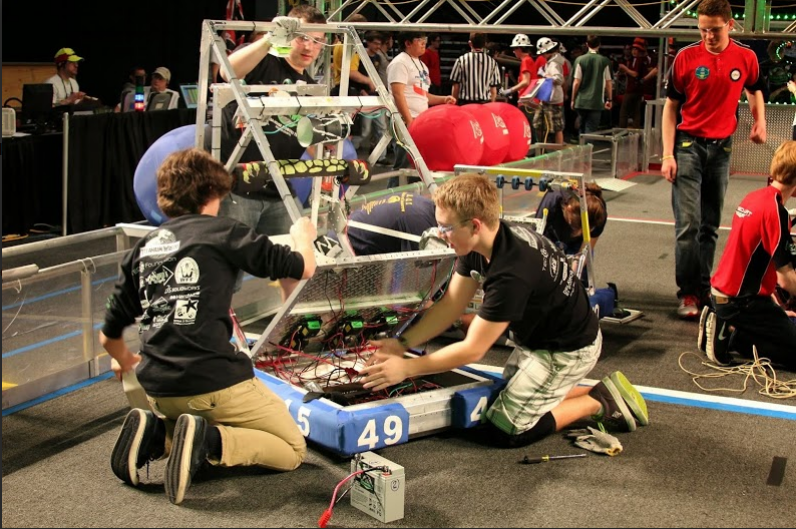 High School students are building robots for FIRST competitions. And winning!